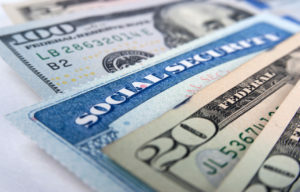 Do you feel like your Social Security benefits have not increased much lately? If so, you’d be correct. Social Security benefits have increased by more than 2% only three times in the last 10 years. This year’s benefit increase was 0.3%, and 2016’s was 0%. Now that inflation has picked up a little, Reuters is estimating a 2% benefit increase for 2018 benefits based on current year Consumer Price Index information. However, many Social Security recipients will not see a full 2% increase in their benefits next year due to a special rule called the “hold harmless provision.” This rule protects certain beneficiaries from paying additional Medicare Part B premiums if they do not receive a corresponding increase in Social Security benefits. Since the hold harmless provision has been in effect the past two years, Medicare premiums will be allowed to catch up to their current rate for any Social Security recipients protected under the provision. While we won’t know the exact benefit increase until mid-October, it appears current retirees may see their biggest raise since 2012, depending upon whether they are affected by the hold-harmless provision.